A fast Bail Bond can set your loved one free from the walls of jail quickly. 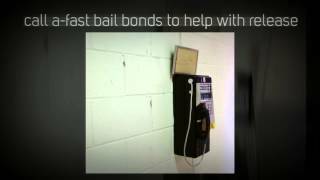 To make this happen, make yourself informed about Bail Bonding in Fort Bend County. The Fort Bend Bail Bonds are a form of financial deposit or security deposit to the court in exchange for the bail of the prisoner. The bail money is returned to the bail bonding company when the person under trial has completed the court proceedings successfully. The money levied by court for leaving a person on bail is generally very high. It is not easy for everyone to arrange this money instantly. Here, comes the role of Bail Bond Company in Fort Bend to your rescue. A fast Bail Bond is initiated once the bail bondsman deposits the bail amount in court. The person under trial gets to move out of the jail and take part in judicial proceedings along with living a free life simultaneously. The bond money is released to the bonding company in Fort Bend County after the case closes or when the parties mutually agree to the schedule. There are different bail bonds for various small to medium level criminal charges. The bail bond money for similar crime is almost the same except in circumstances where the culprit has a previous arrest warrant issued under his or her name. A fast bail bond suggests you keep our information handy if policemen approach for taking you into custody. The Richmond TX Bail Bonds can then be submitted into the Fort Bend County Court of justice for a bail. If you or your loved one is facing charges for a more serious crime, do not hesitate to ask – ‘Do you have a warrant?’ in case you are facing arrest. Call us for a Fast Bail Bond that can let you out of the prison in fastest turnaround time. Walk freely out of court with our reliable Richmond TX Bail Bonds.